It is that time of the year again. The time when Google unveils its yearly precious in the form of an Android operating system. It started with android 1.5 Cupcake, 1.6 Donut and 2.0 Eclair in 2009 and just like that the world of desserts turned inwards into our smartphones. Only that, instead of 3 operating systems in a year, it became an annual affair. And started a revolution in the form of Android app development industry and proved several reasons to go for Android applications for your business. Every year in August Google introduces the Android Operating system of the year and this year it revealed a freshly baked Android 9.0 Pie to its users, succeeding over Android 8.0 Oreo. 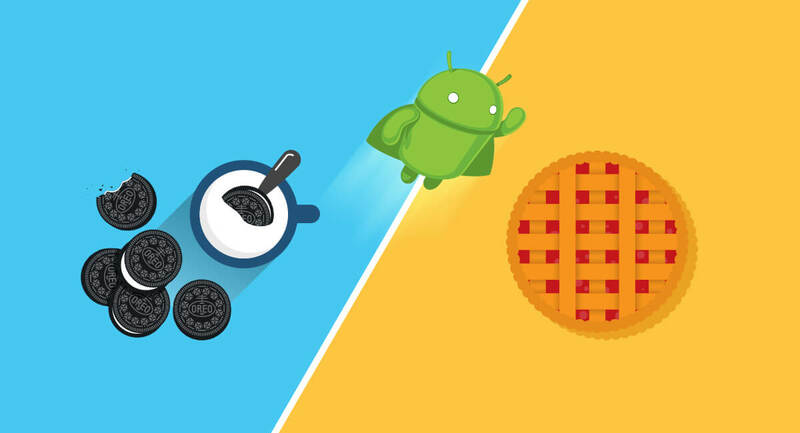 Android P vs Oreo is on. Google brought in a revolution in the year 2009 which has been continuing ever since. Every year, a new look is introduced to all our Android devices and we cannot be more excited about it. Although, just like any other product release, Android operating systems also fall prey to the general public tendency of favoritism. In this regard, the most successful Android OS till date has been Nougat, which is distributed among over 30% devices globally. However, in the last few months, Oreo has gained enough popularity to be used across 14.6% devices globally. Let us take a look at the Global distribution percentage of all the Android Operating Systems before moving on to the properties of the Android Pie. In Android O vs P, Android Pie brings into the picture a lot more colors and curved edges which were not there in Android Oreo, this is not a very dramatic change but android pie has just softened the edges of its interface. For instance, the settings menu in Android P has more colorful icons than Oreo. And the drop-down quick settings menu uses colored circles rather than just plain icons, also, it has a more rounded view to it in contrast with the plain sheet-like feel of Oreo’s drop-down menu. Overall, Android Pie presents a rather cuter look in its interface. Android O and P – Which one has The Smart features? Android Pie has presented its users with a wellness feature in it. That is, there is a new feature in Android Pie which was not there in Android Oreo, that is called the “Dashboard”. The dashboard displays the time that you spend on different applications. And the overall time that you spend on your phone. That is kind of a health feature which gets the users into a more proactive approach towards using their smartphone devices. The feature is presented in the form of a pie chart showing the total time that you spend on your phone, broken down Application wise. It is safe to say the Android P lets you in a little digital “sanity check” about your smartphone usage habits as it even notes how many times you unlock your device each day and how many notifications you receive. This is another smart feature that Android Pie has tossed our way. Much like a surveillance upon us, the OS has given us the control over how much we use specific applications. There are app times provided in Android 9.0 P that was not there in Android 8.0 O. these app times let you set an allowance upon each app and when you’re about to run out of your pre-set allowance time, you’ll get a reminder notifying you about it and once it gets over, the app icon will grey-out – telling you straight that “time’s up, facebook friend”. It won’t be wrong to say that Android P has taken a lot more careful about “digital wellness” than any of the previous Android operating systems. In Android 8.0 Oreo, there was a night mode which takes out the blue light out and there are only the red and orange hues remain, making it soothing on eyes and makes it easier to sleep. Android 9.0 P has taken it a notch further and now as you approach your pre-set sleep time, the screen will turn into grayscale and “do not disturb” mode will be activated automatically. Just like the other digital wellness features, this works towards to the same direction. The adaptive brightness in Android 8.0 Oreo worked according to the light outside. The external lights guided the intensity of your phone’s brightness to adjust in order to put the least amount of pressure on your eyes. But what used to happen in this, that some of us ended up manually adjusting the brightness as per our own comfort. Android 9.0 P has put in Machine learning in this aspect. Not the adaptive brightness of the phone will adjust as per the user habits. In the war of Android P vs Oreo, battery management in Android P has not come as a replacement for Battery saver, rather, it results in somewhat better longevity in, app packed phones. Over the last few Android updates, Google has worked towards reducing the battery usage of the phones. Between Android 9 pie vs android 8.0 oreo, Android 9.0 Pie makes the control of background power usage by applications more visible with a mode called “adaptive battery” This designs itself according to how often an app is being used. So the Android P vs oreo performance has concluded that the performance of Android 9.0 Pie has an advantage over Android 8.0 Oreo. In Pie, The mobile applications that you rarely use will have only the basic permissions. This will not affect the usage of the apps you often use. We can all agree that AI is all of our favorite features, no matter what it is. Android 9.0 Pie has been made a lot smarter than Android 8.0 Oreo. The credit goes to features of machine learning and artificial intelligence. Not your smartphone device with android P will be able to predict what you’re most likely to be doing according to the time of the day and do that for you automatically. Like, playing music as soon as you plug in the earphones, or showing you the cab booking app when it’s time to go home from the office. The permutations are endless. It will learn your behavior and fasten the functions as per that. Zooming in to the words when you’re trying to copy and paste. An easier way to set your screen in landscape mode when it is default set in portrait mode. The stack of recent apps has become horizontal scrolling which makes it easier to switch between apps. Android P is Highly gesture controlled with the advantage of disabling the home button altogether. Without a doubt, we can all agree, that Google has made Android P with a lot of thought from the user perspective. But there is more for the developers in it too. Let’s see what. 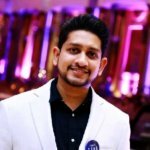 What’s new for developers in Android 9.0 Pie? Google has launched a new OS and it is not possible to finish writing about it without the development perspective, there is a lot more to Android P with respect to Android app development frameworks. In the new version, Google has added a new cutout support feature, and to make it easy for developers to build this support in their apps, Google has provided with DisplayCutout Class. Now it’s possible for your hired Android app developers to enable a cutout for any device. Besides this, Google has made significant changes in push notification features like each year. In Android 9.0, Google has introduced Person class which enables one to identify the people involved in a conversation. The text notification also introduces Image support. Using the same person class, it becomes possible to provide image support for various apps. In the hide of notifications, Google has also introduced smart replies, which can be incorporated into the apps using RemoteInput. Google has let in a multi-camera support for devices with dual front or dual back cameras, both. The features allow the user to do things like seamless zoom, bokeh and stereo vision. The API also lets the app developers call a logical or fused camera stream that automatically switches between two or more cameras. Moreover, in Google’s security features, there have been multiple enhancements. Now Android 9 enabled devices will have the ability to prompt users to approve a statement. It also enabled unified biometric authentication dialogue, which states that if any application is using FingerprintManager, the user doesn’t have to create an additional authentication dialogue anymore. Instead, switch to Biometric Prompt since it relies on the system to display the authentication dialogue. There is also a new APK for the signature scheme. Now the v1 and v2 schemes are joined by v3. Not the APK’s old signing certificates can be linked to the new ones because this scheme has the option of including proof-of-rotation in its signing block for each signing certificate. These are only a few developments to name in the Android app development companies. 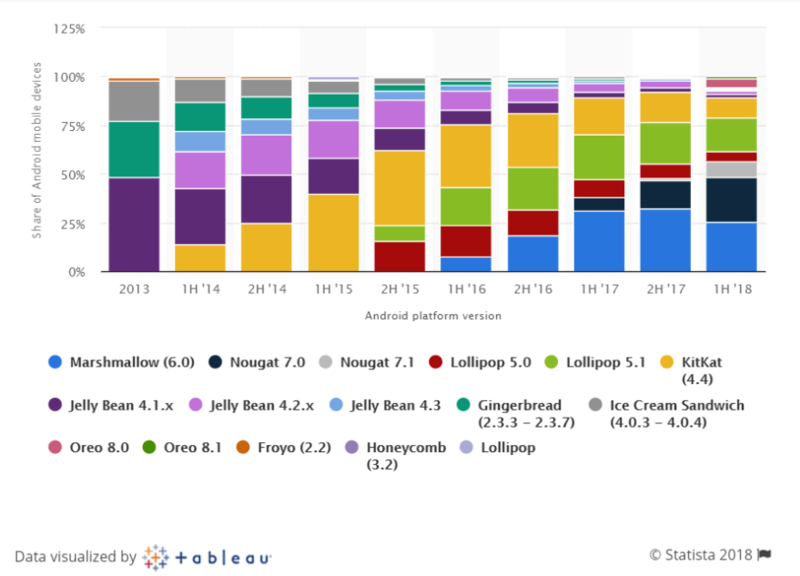 Oreo has had its run in the market and did averagely well and Nougat still remains the reigning king of all the versions of Android operating systems. 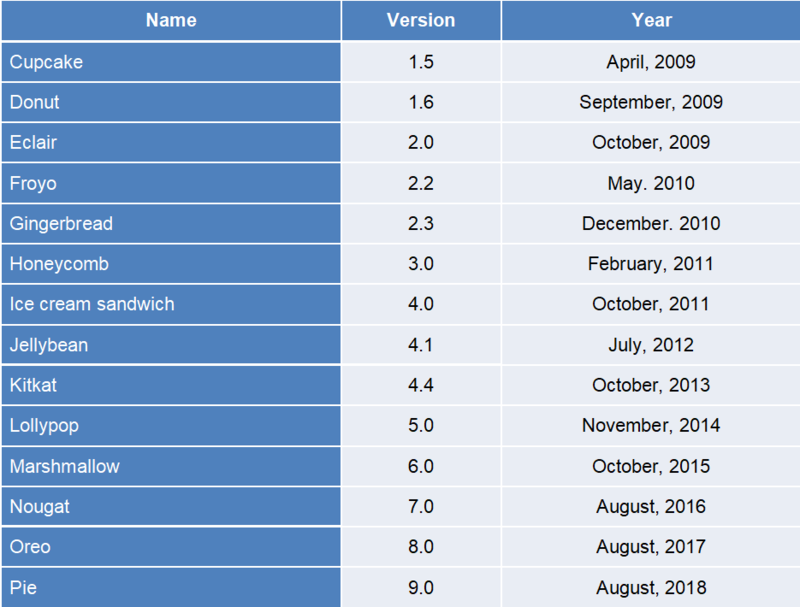 After the launch of Pie last month, all the android devices are unrolling the distribution of Pie 9.0. The distribution among all the supported Android devices is expected to be complete by the end of November this year. By that time, it will be clearer to have an idea of how this feature loaded brand new Operating system performs in the real world market.